Our new website is currently in development and will be launching soon. You can still book online and contact us at anytime. Steph and Steve welcome you to Bramblewood, a delightful 200 year old stone-built guest house, exclusively non smoking, ideally situated overlooking Fitz Park and the River Greta with magnificent views of Skiddaw and Latrigg fells. We pride ourselves on our excellent service, high standards of cleanliness and relaxed home from home atmosphere. Our delicious cooked breakfasts will start your day off well (choice of menu to suit all tastes). We have six en-suite rooms (5 doubles/1 twin/1 single) tastefully furnished and well equipped with individually controlled radiators, colour flatscreen digital TV, hairdryer, toiletries, beverage tray, radio alarm and most rooms have superb views. Two rooms are ground floor rooms for easy access. Access to rooms is available at all times. We have some private parking and spaces can be reserved. Please let us know if you have a celebration as we can arrange flowers, champagne, wine, chocolates, fruit basket or helium balloon. A three minute walk will take you into the town centre, where you will find lots of shops, restaurants, cafes and pubs. You can be assured of a warm welcome and relaxing stay. Click here to view us on the Keswick Tourism Association Website. 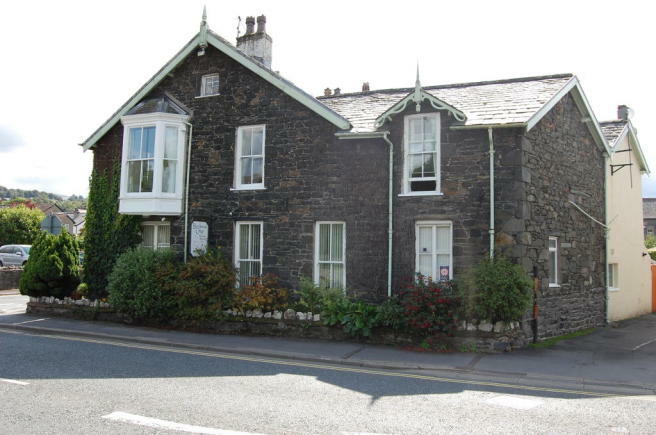 A delightful two hundred year old stone-built guest house, ideally situated overlooking Fitz Park and the River Greta with magnificent views of Skiddaw and Latrigg fells.